Alexander Frenkel´s defence of the EBU cruiser title against Silvio Branco that first was postponed then set for July 22 in Civitavecchia, Italy, is now off completely. The EBU have subsequently removed the 44-year old Branco from the mandatory challenger position. OPI 2000, who promotes Branco confirms the fight is off but decline to give any reason for the cancellation. 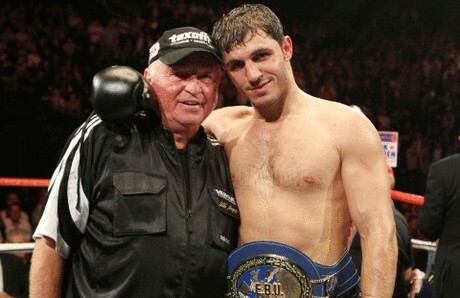 However, Branco, a multiple world and European champ, is fighting a tuneup this coming weekend along with former WBC cruiser king Giacobbe Fragomeni and OPI 2000 plans to stage a fight between these two veterans in the fall. -Financially it´s a much bigger fight for the Italian market, says Christian Cherchi. As for Frenkel he´s wasted a long time training for a first postponed, then cancelled fight.